The NBA one-and-done rule won’t come to an end until 2022, but if it didn’t exist this year James Wiseman would be a top-5 pick, according to several NBA executives and ESPN experts. “Yes,” one NBA executive said. The 7-foot-1 Wiseman, a Class of 2019 prospect committed to Memphis, would be the No. 3 pick this year behind Zion Williamson and Ja Morant, according to ESPN’s Fran Fraschilla. Wiseman ranks fourth behind Williamson, Morant and R.J. Barrett, per Paul Biancardi. Both are broadcasting the Nike Hoop Summit where Wiseman played for Team USA. The Gatorade National Player of the Year, Wiseman has all the talent to be the No. 1 pick in the 2020 NBA Draft, as I wrote here on Forbes SportsMoney. He also speaks Mandarin and wants to own a chain of fast food restaurants. Fraschilla and Biancardi each had multiple high school players in their mock Top 10 for 2019. 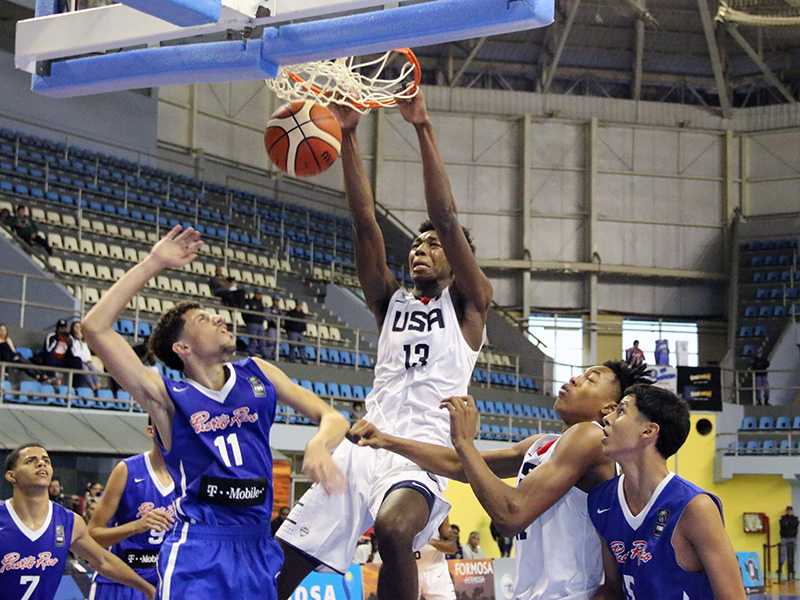 Fraschilla has Georgia-bound wing Anthony Edwards at No. 4, Duke-bound big man Vernon Carey Jr. at 6 and uncommitted wing Jaden McDaniels at 9. Fraschilla did not have Duke’s Cam Reddish in his Top 10 and has R.J. Barrett at 5 behind Wiseman and Edwards. Biancardi had Edwards at 5, Carey at 8 and Washington-bound big man Isaiah Stewart at 10. Fraschilla compared Stewart to Elton Brand.